The Chess Olympiad is first of all a team competition, but for many of the players the board prizes are also just as prestigious. The best players on each board of each section in Tromsø can win gold, silver or bronze medals. The 26-year-old has had a magnificent performance on Bulgaria’s third board. His biggest triumph was defeating Russia’sSergey Karjakin (2789) in round 5, but he has also beaten Spain’s Miguel Illescas (2618) and Romania’s Vlad-Christian Jianu (2579) before conceding his first draw in round 6 against GM Robert Markus (2602). The 34-year-old Ukrainian has proven to be a valuable team player for the Ukrainians with a perfect 5 out of 5 score. Although Moiseenko’s opposition so far has been relatively weak, it’s clear that the reserve player is someone Ukraine need if they want to fight for the top places. The US have been struggling in this event and are currently ranked only 22nd, but Shankland couldn’t possibly have done any more. A perfect 5/5 score for the young American. It’s hardly surprising, but the Norwegian World Champion has the highest rating performance among those who don’t have a perfect score. He started with “just” a draw against Finnish Nybäck, but rolled over Montenegro’s Djukic and Poland’s Wojtaszek before beating World no. 3 Caruana in round 6. How far can he take Norway? 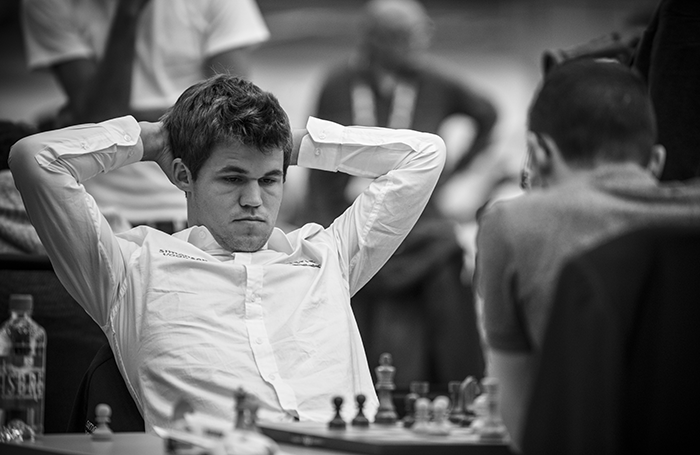 The young 21-year-old has a perfect score on Romania’s 4th board. 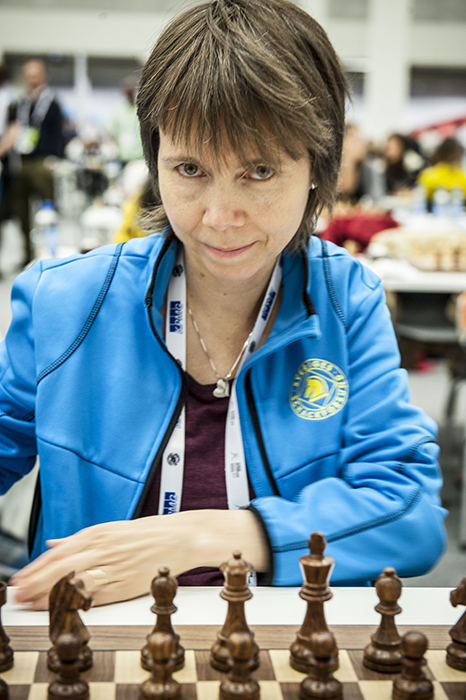 Sweden are not among the top sides, but veteran grandmaster Pia Cramling has been almost untouchable on their first board. It’s no surprise that young Deysi, whose brother GM Jorge Cori plays on their open team, is doing so well. She’s more than 700 points higher rated than her teammates, so they’re getting quite weak opposition. But beating lower rated opponents isn’t always a walk in the park, so well done, Deysi! Having played on the 1st board for Russia in the past, the former Women’s World Champion is now doing her job on the 3rd board. And she’s doing it well – only sharing the point once so far. India have been somewhat disappointing in the Chess Olympiad so far and are down to 22nd place before round 7, but their first board Harika has been excellent so far, scoring wins over Spanish IM Vega and WGM Vojinovic of Serbia. More board statistcs can be found on Chess-results.com.